Those of you LUCKY ENOUGH to live in the UK have the pleasure of downloading the new Katie Melua single, "A Happy Place" in all of it's REMIXED glory. Available digitally today, the 6-track digital EP for "A Happy Place" features remixes by Robbie Rivera, Loverush UK!, Danny Kirsch, Beatnoids, Product01 in addition to the unusually-alluring Sparks vs. Melua remix. In other news, Mark Loverush (from Loverush UK!) confirmed via his Facebook that Loverush UK are already at work remixing the THIRD Katie Melua single! Seeing that her second single JUST came out today, there's no word yet on what the third single will be but I'm loving the sound of this. Leave it to William Orbit to turn Katie Melua into a club queen. Melua's new album The House will be out in the U.S. August 3rd on Universal Motown/Dramatico. I know this news broke a while back but I don't care. I'm seeing Robyn on the All Hearts Tour at the House of Blues on Wednesday, with Kelis, Dan Black and Far East Movement. I can HARDLY WAIT! While seeing the setlist might ruin the surprise for some, it only makes me more excited! This tour, while still a good few weeks in advance of Body Talk Pt 2's release on September 7th, should get me good and ready for the new album. What Robyn's doing with Body Talk is really smart! Instead of the following the usual write-record-promote schedule that most artists follow, Robyn decided to write enough material for 3 albums and then focus on promoting all three all over the world. It's like a never-ending pot of gold! While I'm a little disappointed that she's only releasing one single per album (at least so far) I'm BEYOND thrilled that we're getting three new Robyn albums before the year is out. 2010 is looking to be the year of Robyn and I'll take what I can get. Robyn's "Hang With Me" could be classified as a song that I need on my iPod RIGHT NOW. Unfortunately, it's not due for release here in the U.S. until August 17th and in the UK September 5th. Written by Klas Åhlund, "Hang With Me" was actually originally recorded by Åhlund's ex-wife, Paola Bruna for her 2002 album Stockcity Girl. No matter. Robyn kills it. For all intents and purposes, this song is hers. This song is pure, pop bliss. I can't stop listening to it. The Max Vitali-directed video, which premiered today, features clips of Robyn on tour. Some of it appears to be backstage footage, some appears to be footage shot specifically for the video. While definitely LOW budget the video really fits the mood of the song perfectly. Body Talk Pt. 2 is due out September 6th the UK and on the 7th in the U.S. The music video for Natasha Bedingfield's new single "Touch" premiered on VEVO today. Directed by Rich Lee, the video makes sense of the song for me. The bit of sing-songy chanting at the beginning ("I was tryin' to cross the street when I tripped and spilled my coffee...") threw me off at first. Seeing Bedingfield do that bit live didn't sell it for either. NOW, watching the video and seeing how this setup factors in with the storyline of the video I'm starting to come around. While it's definitely NOT one of my favorite Bedingfield songs, I DO like that it's an up-tempo, dancey pop song. Written by Bedingfield, Julian Bunetta and Steve Kipner the song is a decent enough return to form for Bedingfield, who hasn't had a single out since 2008's "Angel" (which peaked at #63 on the Billboard Hot 100)...but it doesn't seem to be making waves on the charts. So far, the song has yet to make an appearance on the Billboard Hot 100. Maybe the new video will help the song (which impacted radio on June 29th) chart. Who knows. If the song gets some decent remixes, I can see it being another Billboard Hot Dance Club Play hit. "Angel," "Pocketful of Sunshine" and "Love Like This" all hit #1 on the Billboard dance chart. The clubs love Nat! "Touch" is the first single off of Bedingfield's forthcoming studio album Strip Me. As previously reported, Bedingfield collaborated with Brian Kennedy, Wyclef Jean, Sam Sparro, Mike Elizondo and others for the new album, expected out Fall 2010 on Epic Records. I definitely see where the Depeche Mode comparisons are coming from with Hurts and while that comparison is DEFINITELY a lot to live up to, I think the boys will rise to the challenge. The STUNNINGLY beautiful video for their new single "Wonderful Life" premiered last week and I can't get enough. Due out in the UK on August 23rd the single was actually already released in Denmark this past May with a different video. This NEW video was shot on location in beautiful Ibiza. The video features the handsome British electro-synth duo, Theo Hutchcraft and Adam Anderson, standing solemnly surrounded by by a variety of dancers, synchronized swimmers and other extras. The video's theme seems to be rather morose, with all of the guests wearing black and looking very sad. Not sure if it's supposed to be some sort of a wake or what...not the most uplifting video yet still very beautiful. 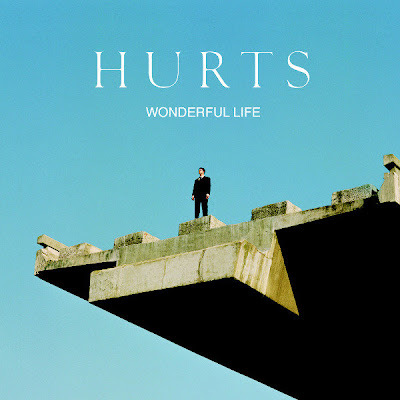 "Wonderful Life" is the second official UK single taken from Hurts' debut album Happiness, out September 6th on RCA. It was preceded by "Better Than Love," which peaked at #50 on the Official Singles Charts. Look out for "Wonderful Life" remixes by the Freemasons, Arthur Baker and Kurtis Mantronix. Check out the original video for the single here. Olly Murs may very well be my next pop crush. While he may have lost to Joe McElderry on the sixth series of X-Factor, he's already got the 1UP, releasing the first post-X-Factor single from his debut album, due out in September on Epic/Syco Music. 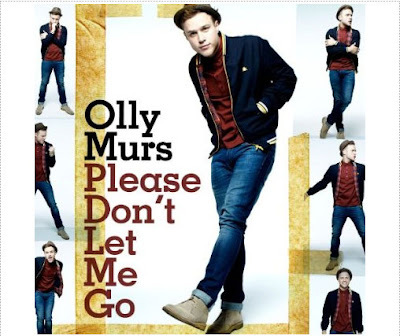 Close your eyes and "Please Don't Let Me Go" could very well be another Will Young single. Open your eyes and...well...same story. Murs shares many similarities to Young and while that's not necessarily a bad thing, I'm hoping his album shows a bit more pop variety. The video features Murs as a guest at a "Summer Solstice Garden Party" along with a myriad of other colorful characters (including an eccentric, boozy old lady with a dog). Amongst the guests we meet the object of Murs' desires, a pretty young lady playing hard to get. The video is fun, summery and safe, much like the song itself. Not a bad first effort but we'll have to see how the song charts when it's released on August 30th. Co-written by Murs, Steve Robson and Claude Kelly, Murs is also known to be collaborating with Roy Stride from Scouting For Girls, John Shanks, Eg White, Trevor Horn, Wayne Hector and Matty Benbrook on his debut album. "Please Don't Let Me Go" will be available as a CD and digital download, with b-side called "This Ones For The Girls." Also worth noting, Digital Dog has remixed Murs' debut single. Given how remixable Will Young's music is, I'm sure this single will lend itself well to the dance genre.